Recently I realised I had let myself wander into the Land of Want, the place were I lose myself thinking about all the ways I could improve my house, and forget about everything it already has going for it. When we were house hunting two years ago, I looked at a lot of terrible houses, because we were trying to afford a house in Auckland and it seemed like the only way we could do that was by buying a complete fixer upper. One house I was tempted to purchase didn't even have a laundry, and someone had built an illegal carport off the side of the house, which completely blocked the third bedroom window. But it was in our price range, so I seriously considered it. Another house I looked at only had two bedrooms, and one of those bedrooms had holes in the wall going all the way through to the outside. But again, the price was right, so I considered it. And then I found this house, in an area I loved, with room outside for the kids to play and for me to plant a garden in. The house was already liveable just as it was, and somehow we were the only bidders at auction, so we were able to purchase it for less than its reserve price. We wouldn't have been able to afford it otherwise. It felt like a miracle and it probably was. But time went by and I forgot to appreciate that miracle. 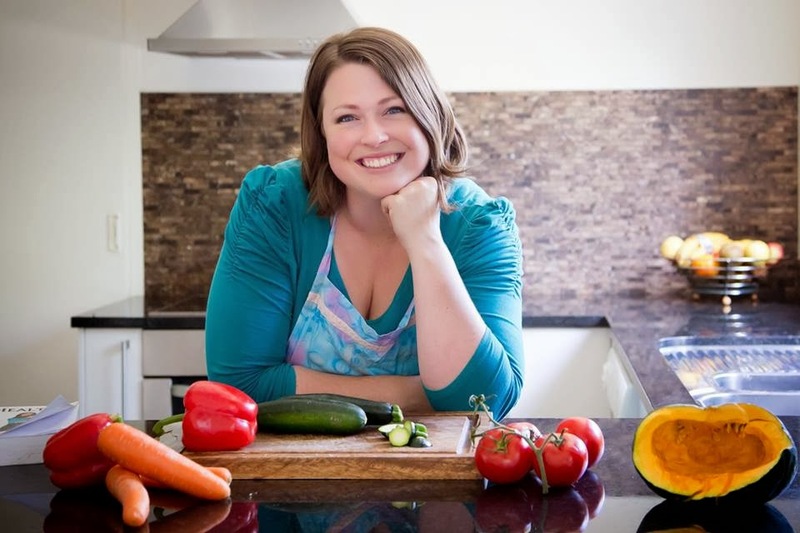 I got fixated on the too-small kitchen, and the wearing-out bathroom, and the door in the living room that would really be better placed two metres to the right. Those thoughts stole my gratitude. Now I'm stealing it back. Watching YouTube videos about tiny homes has helped me to feel grateful, especially seeing how the clever use of space in those homes makes them feel liveable and beautiful exactly as they are. My house is much bigger than a tiny home, even though it feels small to me, so I'm trying to find affordable ways to make the most of the space we already have, instead of dreaming of more room. 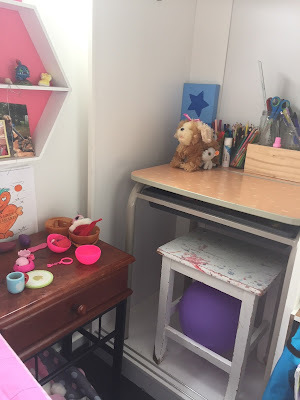 This week I've been sorting and reorganising kids' toys and clothes with my children, since S has been home sick from school. I took several bags of offerings to the local Hospice Shop this morning and it felt so good to empty those things out of my house. More space already. While I was at the Hospice Shop, I also happened to find the perfect piece of furniture for a wasted space in my girls' bedroom. 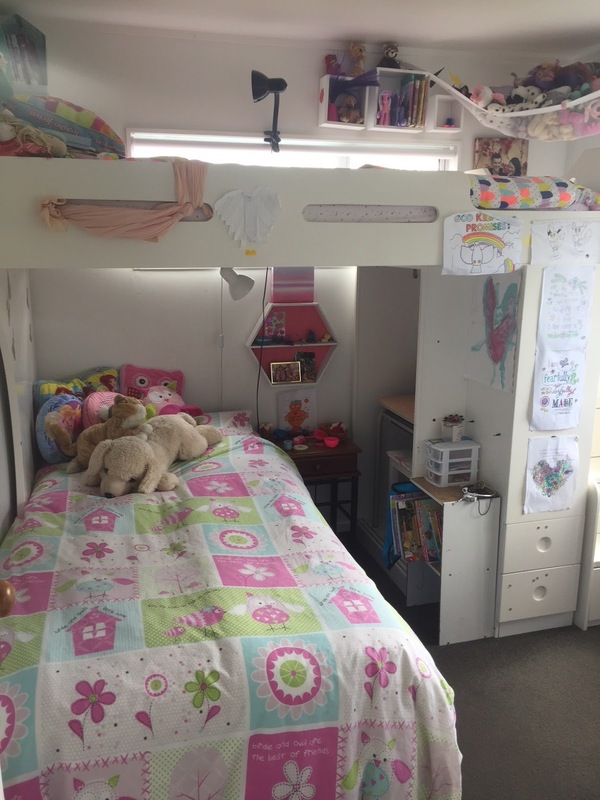 The girls have a Windmill Kids bunk-bed that really makes the most of their small bedroom, since it has several built in drawers and cupboards. 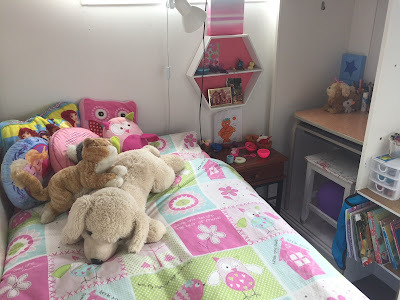 The bunk-bed also came with a wardrobe that we didn't need, since there's already a wardrobe in the girls' bedroom, so we took the doors off it a long time ago and have used the space to store cradles and toys for my youngest daughter, S, who sleeps next to it. Unfortunately, S also got into the habit of chucking her clobber into the open wardrobe space whenever I asked her to tidy her bedroom. It had become a huge, unusable mess - difficult to find things in. I kept thinking the unused wardrobe would be the perfect area to build a desk for her, and was trying to think up design ideas in my mind that I might be able to build. Then this morning I saw a desk for sale in the Hospice Shop, which I thought might fit into the wardrobe nook. At $15, I couldn't even have bought the materials to build a desk for that price, so I thought it was worth the risk. I bought the second-hand desk, carted it home and moved it into the old wardrobe space next to S's bed. It fit perfectly. It even has a flip-top lid with added storage underneath for S's knickknacks, (which all seem to be incredibly colourful). 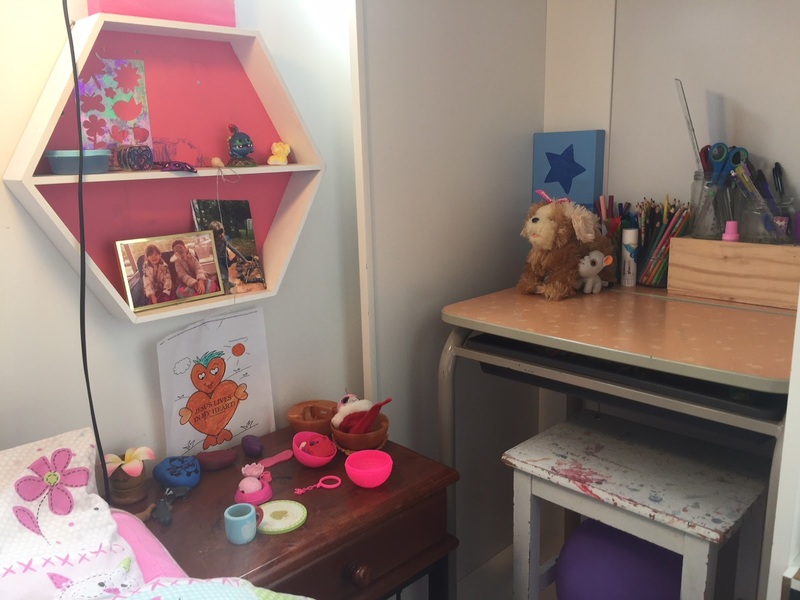 Everything that had been in the closet space, I chucked onto S's bed, and together we spent an hour sorting through it all, finding proper homes for everything. 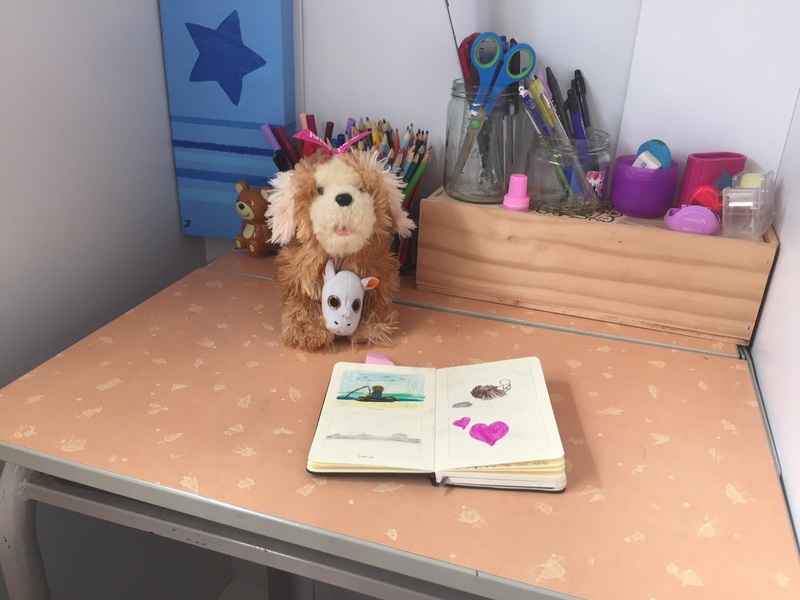 S used to keep all her felts and pencils in the drawer of her side table, but now that she has a desk, we wanted them to live there. 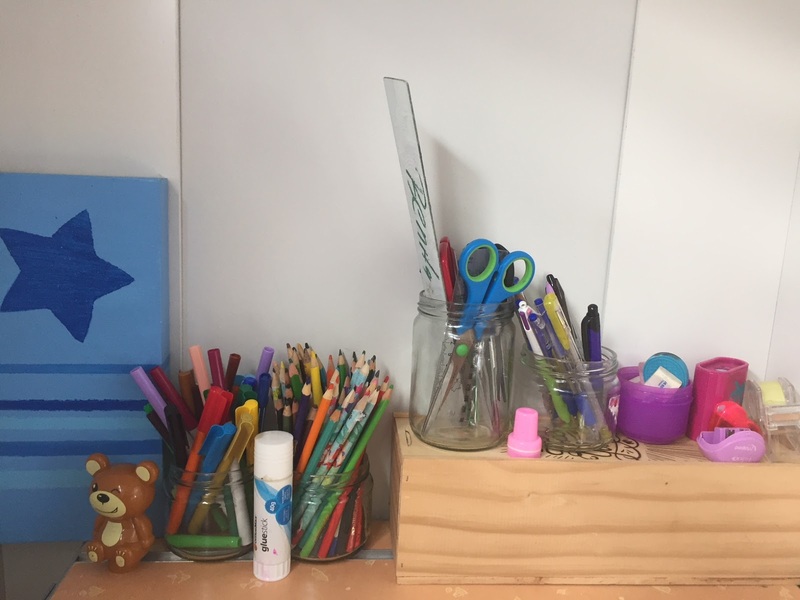 Together we sorted through the stationary items, sharpening all the pencils, throwing out any dud felt pens and placing them all by type in glass jars, where they fit at the back of her desk. 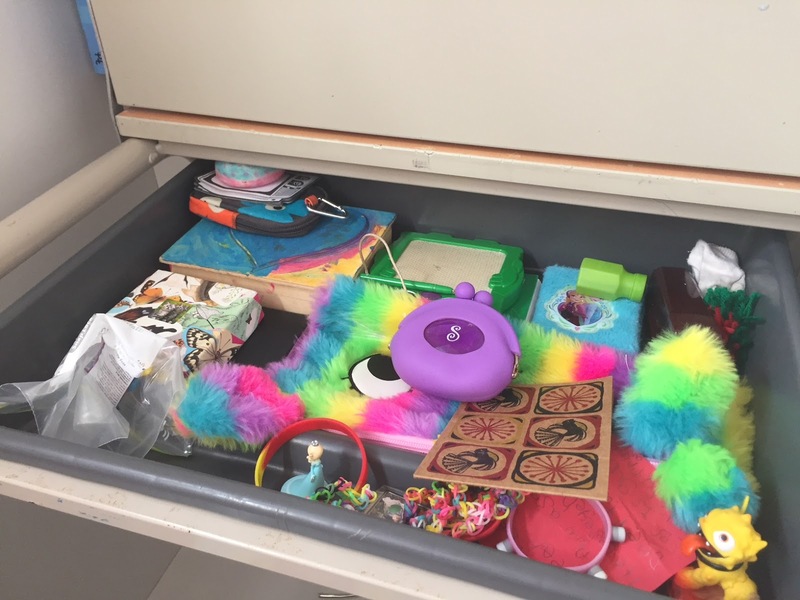 This is the part of the desk that doesn't move when the lid comes up, so it's a great place for those items to have a permanent home. With the stationary moved out of her side table drawer, now she's able to use that space for other things. 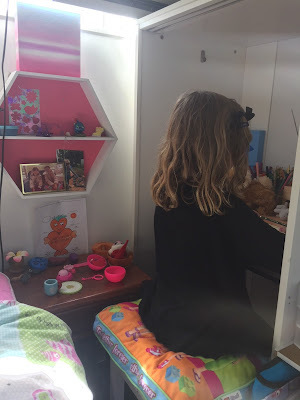 Here is a photo of S writing in her new desk nook. She's sitting on a stool we already had that fits under the desk when it's not in use. The desk, stool, side table and bookcase next to S's bed are all made with different materials and don't really go together, so I'll buy S paint for her upcoming seventh birthday and let her paint them how she wants. They're all second-hand/free furniture items anyway, so I'm not precious about them. Painting them will help her personalise her area of the bedroom too, which will be nice for her, since she'll be sharing a room with her big sister for a while yet. 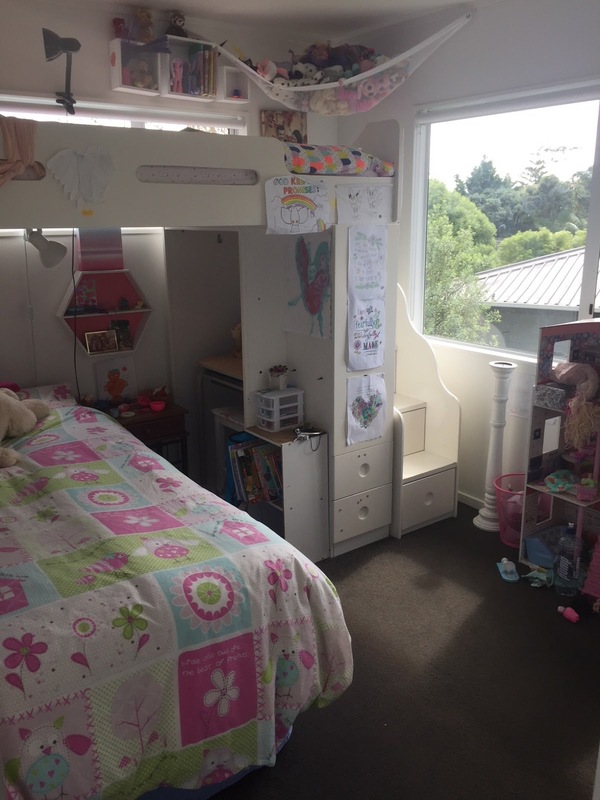 My eldest daughter, L, is now asking us to build her a desk for her top bunk. Paul is talking hinged fold-out desk designs, which would be an absolutely brilliant use of the space up there. Does anyone have suggestions for how we could go about building something like that? Love it! Decluttering + clever tiny house ideas!